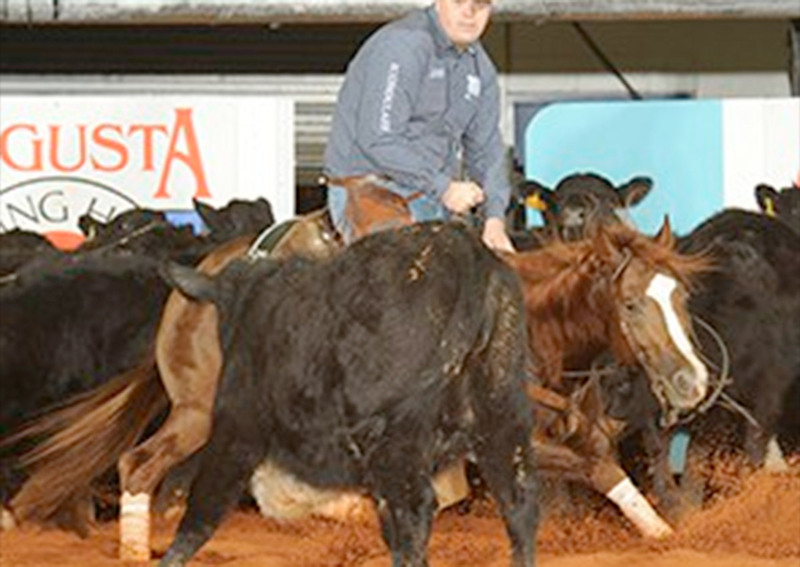 Austin Shepard, of Summerdale, Alabama, needed to earn less than $10,000 at the Breeder’s Invitational (BI) to surpass the $6 million point in Equi-Stat. At the event’s first opportunity to garner money, Shepard exceeded the mark by earning a total of $27,538 in the Classic/Challenge Open finals on three different horses. Shepard scored a 221 with Bamacat (High Brow Cat x MH San Tules Dually x San Tule Freckles) to finish third in the finals and earn a paycheck worth $14,803. That run alone pushed Shepard past the $6 million mark and brought Bamacat’s lifetime earnings to $244,386 in Equi-Stat. Shepard continued to add to his winnings one run at a time in Tulsa, riding Gini One Time (One Time Pepto x Paving the Rey x Dual Rey), owned by Gary Dellinger, of Catawba, North Carolina. The duo earned $7,997 for their fifth-place tie in the finals. Impressed by her recent performances, Shepard plans to continue showing the mare, who now boasts $22,784 on her Equi-Stat record. The Equi-Stat Elite $6 Million Rider and Cat Sheree (High Brow CD x Nurse Sheree x Peptoboonsmal) were part of a three-way tie for 13th place in the finals, which earned an additional $4,738. Cat Sheree is currently owned by Plantation Farms LLC, of Denham Springs, Louisiana. Prior to his success at the BI in the Classic/Challenge Open finals, Shepard had garnered $132,943 during 2015 alone, according to Equi-Stat. “I may have shown a little bit more this year compared to other years, but all-in-all, it’s about a good set of horses that have made this such a good year,” he said.